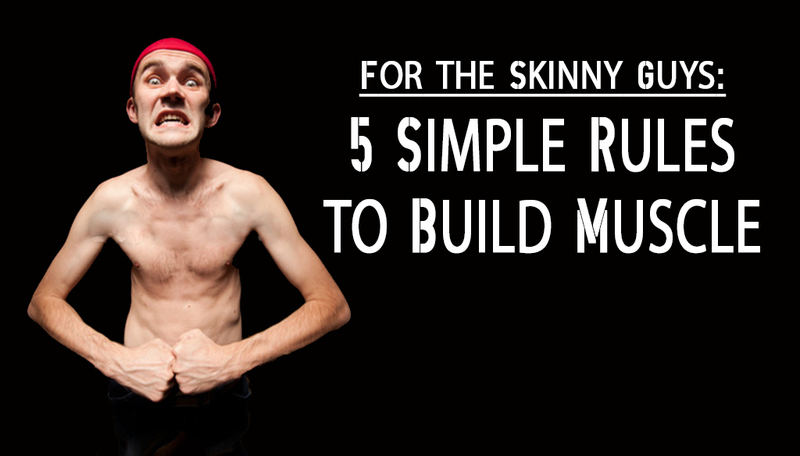 There’s only a few things that you have to keep in mind and I broke them down into 5 rules. Live by these principles and I guarantee you that you’ll see some changes faster than you’ve ever seen in your life. All the big guys out there are big not because of the hours they spend at the gym every session or all the supplements they take, but because they eat a lot. None of them got to how they are now eating like little girls. You have to eat lots of food. But that doesn’t necessarily mean that you should eat everything that comes in your way. Eating a lot of chips, fries, or ramen noodles for example is not going to do you any good unless you want to be big AND fat. You need up your calories and also consume foods rich in protein like eggs, chicken, red meat, turkey, egg whites, tuna, etc. I could keep going with the foods you can eat, but you get the idea. If you want to get big, you need to eat big. The general guideline is to eat 500-1000 calories over your maintenance. So first figure out your maintenance calories . Then add about 500 calories to that number. The number of calories you eat doesn’t have to be exact, but that’s how much calories you should be eating everyday if you want to gain weight. It’s as simple as that. If you want to get bigger, you have to lift heavy. Enough of the sissy weights. You need to work your muscles to the point that they can only do 8,9, or 10 repetitions per working set. For example, if you can bench a certain weight 20 times with no problem whatsoever, you need to man up and put some more weight so that you’d only be able to do 5-8. Your muscles fibers need to do work to get bigger. Just make sure that the weight is not too heavy that it impacts your form. Lifting too heavy can also cause an injury. I see a lot of people at my gym who have fuckarounditis who do a lot of isolation exercises and rarely any compound exercises. This is a big no-no. Compound exercises are a must for skinny guys trying to build a bigger physique. Focus on these movements: squats, bench presses, deadlifts, chin-ups/pull-ups, rows, dips, etc. Want to get bigger biceps? Do weighted chin-ups instead of bicep curls. You’ll be working out your back and biceps at the same time and is actually more effective since you’re body isn’t that strong yet. These compound movements hit the whole body hard and promote overall growth, so don’t ever underestimate them. Just like eating, drinking water is just as important. Your body is made up of about 70% water, so you need to keep your body hydrated for it to function properly. Remember that your body can live for weeks without food, but only days without water. That’s how important it is to our body, and for your muscles. Without water, your body cannot break down all the nutrients that you consume. So all that protein that you’re eating will go to waste if you don’t drink any water. Related article: Get Rid of Visceral Fat the Healthy Way! Don’t ever quit. If you think you’re skinny and want to build some muscle, you can’t ever quit. Just because you didn’t gain a single pound in a week doesn’t mean that you will never get bigger. It just means that you need to work harder or eat more. There will be times when you feel like you just want to give up. All the people that have seen results whether it’s building muscle or losing fat got to where they want because they never quit. If you want an aesthetic physique of your own, you have to have the same attitude.